Let’s face it, more often than not most everything featured here is a ‘want’ more than ‘need’, because if you want to be really brutal about it, you don’t need a luxury designer bag to carry your belongings around. Because a supermarket plastic bag will frankly do the trick too. 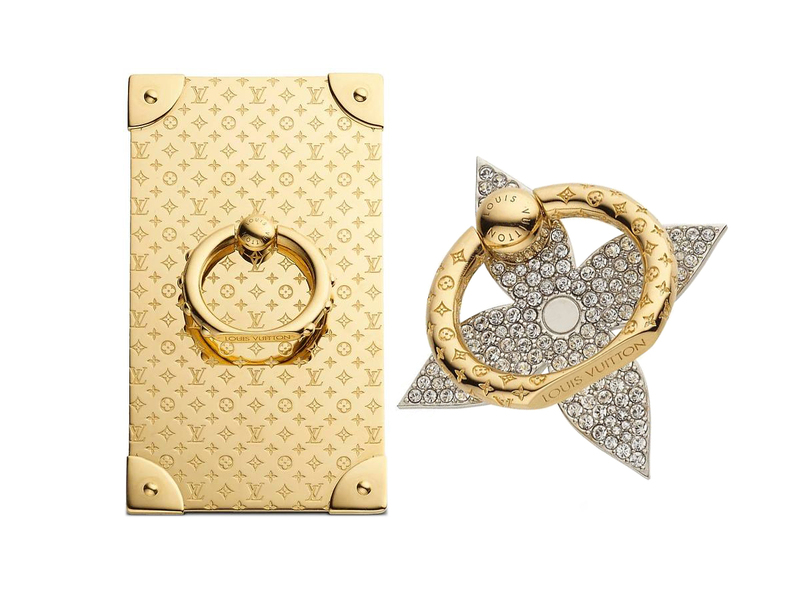 Which brings us to these newish phone rings from Louis Vuitton. Expanding on the selection they already have (just click here for a look), the first one is the Phone Ring Trunk that retails for SGD755. Made to fit almost the entire back surface of your mobile device, it is ‘monogrammed’ to perfection, engraved with iconic logos with corners finished to look like LV trunk edges. Then there’s the Phone Ring Flower Strass (SGD955) that was released recently. Measuring just 4.4 cm, it comes paved with Swarovski crystal elements all over, ensuring it shines even from far, far away. Yes, they are both definite ‘wants’, because no one really needs phone rings that can cost as much as a mobile phone. Or do we?